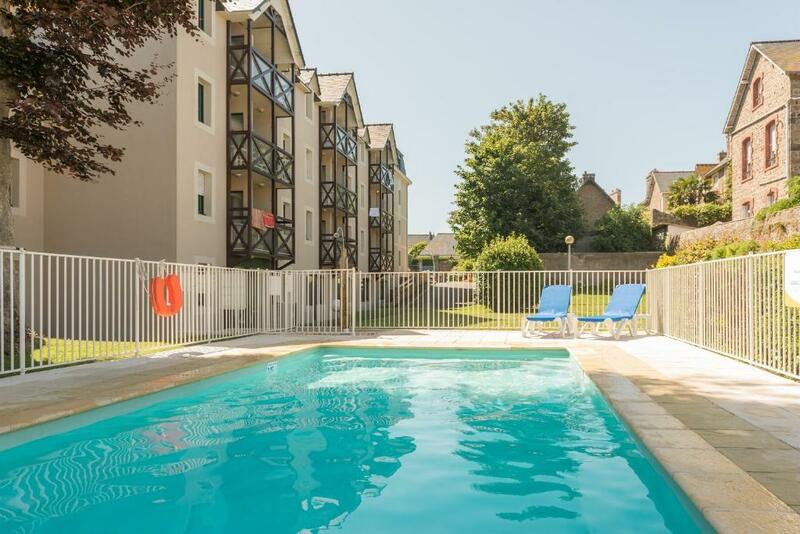 Located to the south of Saint-Malo, Résidence Pierre & Vacances Ty Mat is set in a garden and offers self-catering apartments near the shops and the beach. The heated outdoor pool is open from June to September. Accommodation is in a studio featuring a fully equipped kitchenette with dishwasher, en suite facilities and a TV. All rooms are accessible by lift. A bakery delivery service is available for an additional charge and guests can borrow board games and books for free. Private on-site parking is available for an additional charge, subject to availability. Résidence Pierre & Vacances Ty Mat is situated between the harbour and the walled town. Many activities are possible nearby including tennis, golf and horse riding.